Every time I look through our pictures of our trip to Las Vegas, I’m reminded of how much fun we had with a two-year-old and four-year-old in a city that’s not known for its family-friendly attractions! 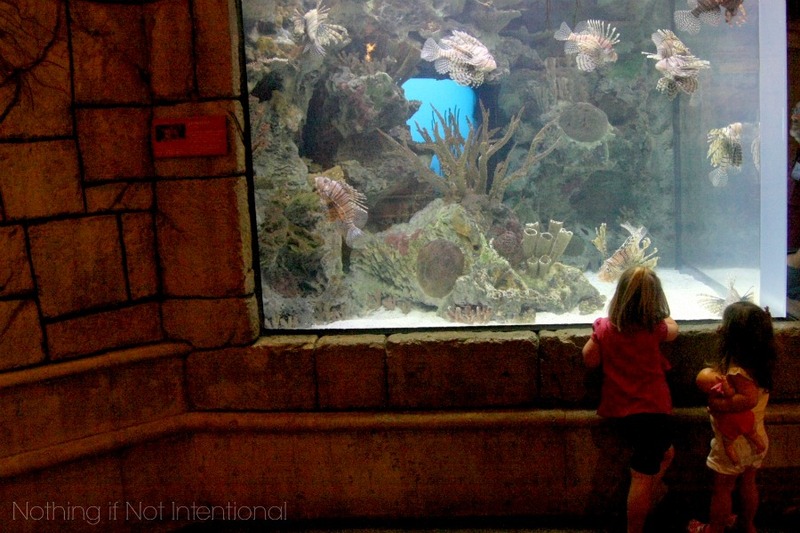 Last week I shared info from our time at Siegfried and Roy’s Secret Garden and Dolphin Habitat. 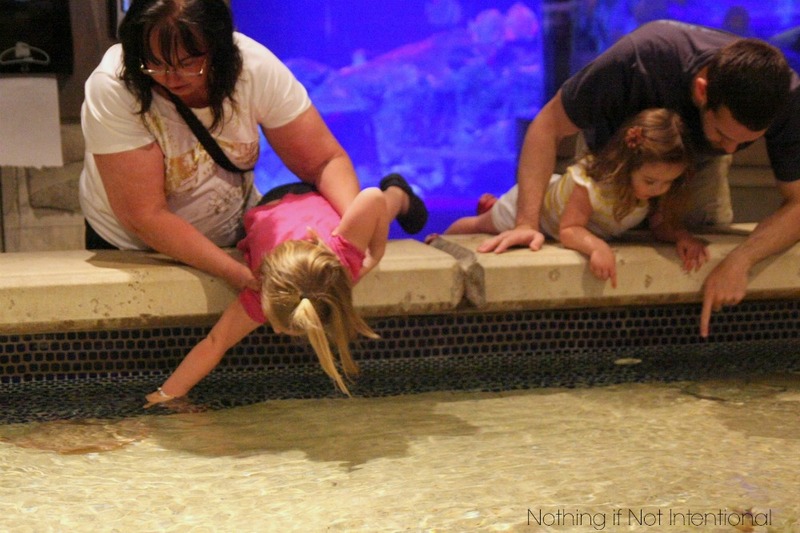 My third and final post in this series will be all about FREE things to do in Las Vegas with kids, but today let’s focus on our trip to the shark tank. 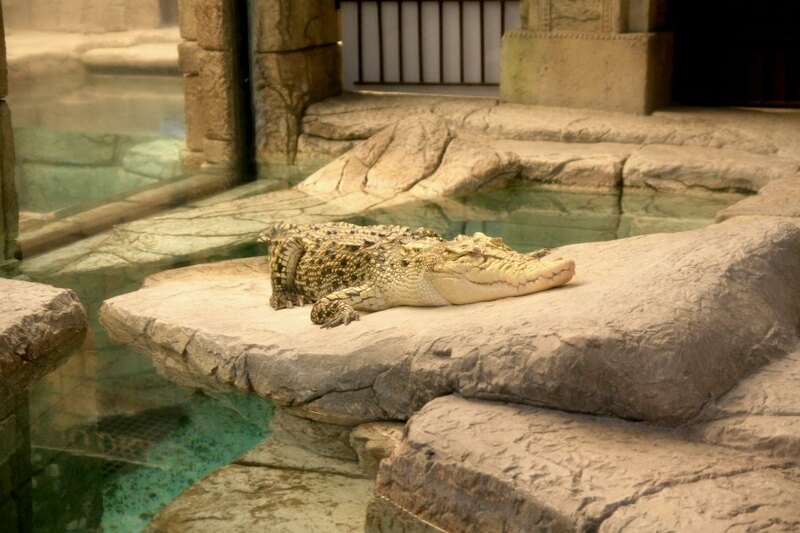 I’ve been to Shark Reef Aquarium before! It was over a decade ago, and I was in high school and traveling with my parents to Vegas over Fall Break. Ten years later, and I’m still traveling with my parents to Vegas on their Fall Break. (That much hasn’t changed.) But this trip to Shark Reef was more fun than the last simply because we’ve added a few special little ones to our family. 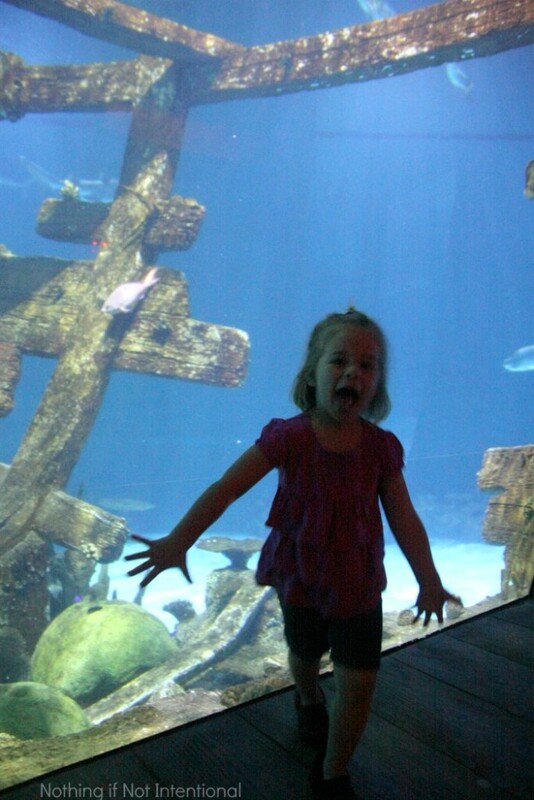 It was fun to see the aquarium through their eyes! We’ve been trying to encourage our oldest daughter to be confident enough to talk with “big people.” The staff worker at sting ray exhibit was a perfect test case for our sometimes-shy preschooler. I asked our four-year-old if she had any questions. She did. She wanted to know how the sting rays sting. After the little mini-lesson, the girls got to pet the sting rays. I asked how the non-shark fish survived in the shark tank. Why weren’t all of the little Nemos gobbled up? The staff worker told me that since the sharks are well fed, they don’t hunt the little guys much. However, when a fish is injured and slow, workers try to remove him as quickly as possible to reduce the odds that he’ll end up as shark bait. 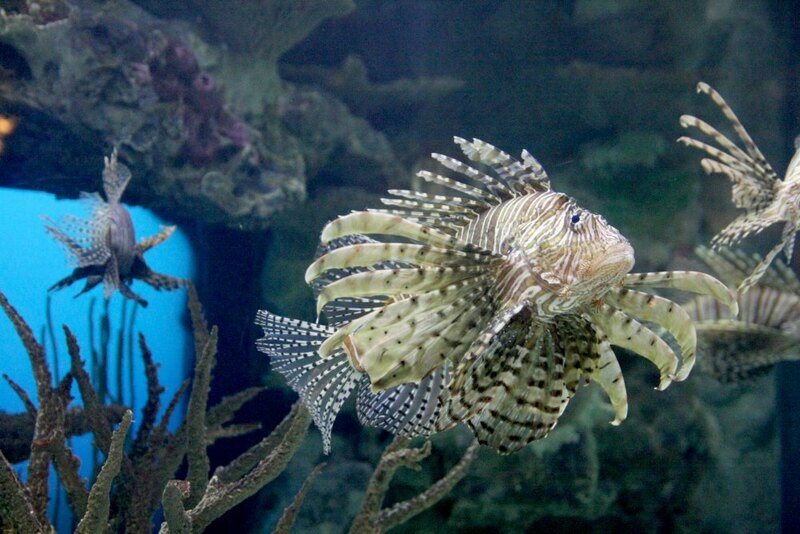 We had a great time and the Shark Reef. 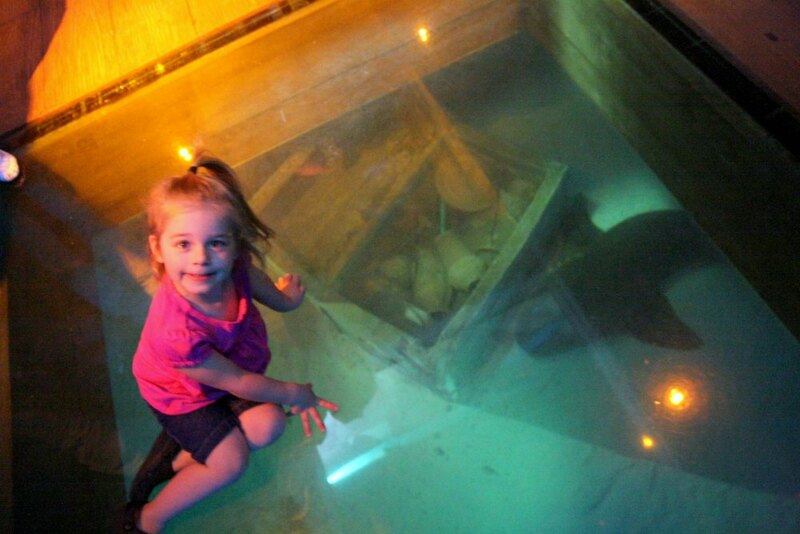 If you like hands-on aquariums and lots of sharks, this will be a great place for you and your kids! Thanks to MGM and our media contact, Krista, for taking care of our admission so that we could experience this attraction and write this review. 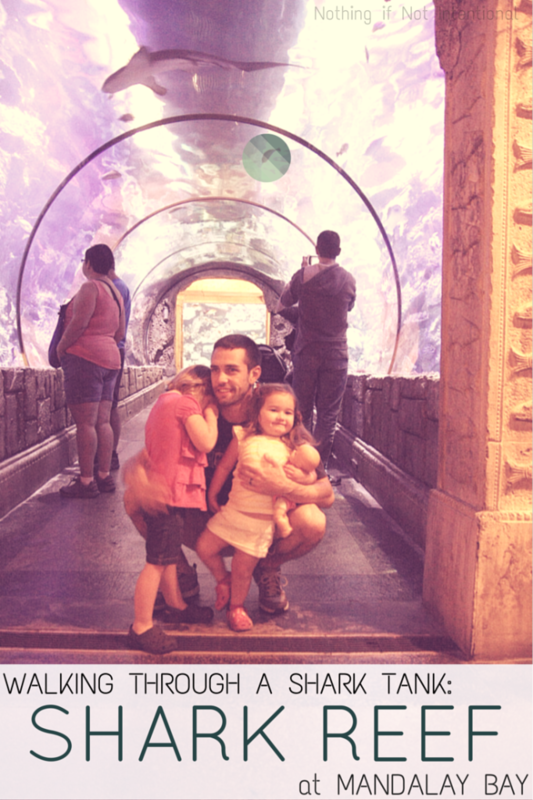 Pingback: FREE things to do in Vegas with Kids!